If ebook-making is your thing, you may be interested in the latest version of iBooks Author, revealed at Apple’s media event on Tuesday. Apple CEO Tim Cook presented the updated iBooks Author as part of an “iPad in education” segment during the introduction of the latest versions of Apple’s tablet. iBooks Author remains free, with the update available on Tuesday from the Mac App Store. New in iBooks Author are new portrait-only iBooks templates. Unfortunately, portrait-only doesn't mean iPod touch- or iPhone-friendly—iBooks Author books are still restricted to the iPad and iPad mini, whether you view them landscape or portrait. The company does seem to have expanded its template offerings beyond textbooks, however: There are now options for photo books, craft books, cookbooks, and biographies. 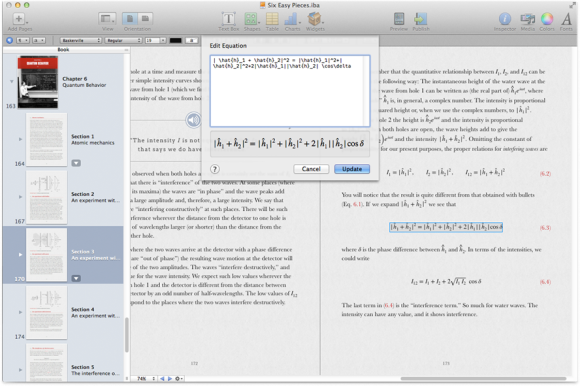 Apple's new iBooks Author supports new mathematic expression rendering. The app also boasts custom font embedding and several new widgets available for textbook creators, including rendered mathematic expressions and formulas, a scrolling sidebar, pop-ups, and altered audio options. Publishers can additionally push updates to books without users having to re-download it from the iBookstore. 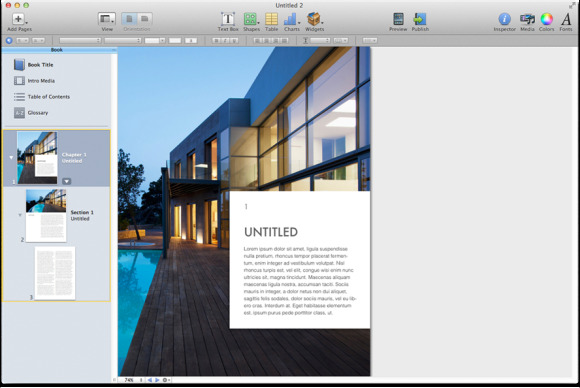 iBooks Author also boasts an improved publication experience for publishers. Those interested in publishing to the iBookstore through iBooks Author may have one extra incentive: According to Apple's iBooks Author website, it looks like publishers now may be able to upload their books directly through the app, instead of having to go through iTunes Producer. Updated at 11:30 a.m. PT to add more information about the new iBooks Author.